I have always believed that God has a sense of humor. Otherwise, He would never have created man. About the time I was getting over having my left eyeball peeled and was about ready to get back into the swing of things, I was felled by this flu virus that is fast becoming an epidemic in our nation. I did get the flu shot only to learn that the strain that we were vaccinated for is not the strain of flu that is infecting so many people. Another thing that I really struggle with is accepting the fact that when the experts are talking about the “elderly”, they are talking about me. I believe that I am a young person trapped in an older person’s body because I sure don’t consider myself as elderly. I do know that the last time that I had the flu was in 1971, and I handled it better then than now; so I must have been younger and stronger then because I clearly recall picking up guests at the airport one night when my temperature was over 103. This time my fever never got above 101, and I was contemplating making my funeral arrangements. I feel blessed to say that I am back in the saddle even though my energy level is not back up to par yet. As if the Super Flu was not bad enough, we will now experience a “Super Blue Full Red Moon” tonight. A blue moon is actually called such when you experience two full moons in one calendar month, and we had a full moon on Jan. 1st. The “Super” refers to the extra size of the moon this month, and the red refers to the color that this moon will appear to have as it sets. I have always been either very light sensitive or part werewolf because I never sleep good on a full moon; so tonight will be a good night to hunt armadillos. I’m just uncertain as to what their nocturnal habits will be on this weird moon night. I actually have very little news to share concerning the hunting season except to say that we continue to be blessed with great business, guests, and quality quail hunting. We were beginning to get dry here which is most unusual in the winter months. However, we received three inches of rain this past Sunday. I love Sunday rains since we do not hunt on Sundays. You could almost see the bird dogs grinning Monday morning along with their handlers. 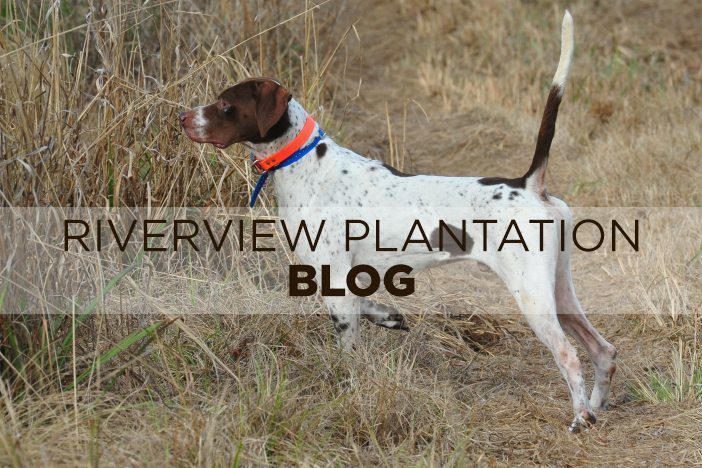 It is going to be much easier this week for the dogs to scent the quail than it was last week. In closing this short blog, I wanted to thank so many of you who have written me telling me that they enjoy reading my occasional posts. I think that the fever has burned out a few brain cells as I do not feel very creative today. I mostly wanted to write something to prove to myself that I was still alive. Leo Buscaglia once said, “Your talent is God’s gift to you. What you do with it is your gift back to God.” I enjoy writing, but have only found the time to do it now that Cader IV is firmly in charge of running Riverview. Maybe on my next blog, I can dredge up a few funny stories from my old memory bank when all of my brain cells begin firing on all cylinders again. In the meantime, should you come in contact with anyone with this Bubonic Plague, run like hell in the opposite direction!